Have we in Fianna Fáil survived our election punishment beating? Though I don’t share his politics I like John O’Farrell. O’Farrell, whose father hailed from Galway, is a comedy writer and British Labour Party supporter who is now their candidate in the Eastleigh by-election. My reasons for liking him stem not just from his days as a script writer on Spitting Image but from his hilarious 1998 memoir: Things Can Only Get Better: Eighteen Miserable Years in the Life of a Labour Supporter. A few months after the punishment beating that was Fianna Fáil’s 2011 General Election result I started to wonder if I should start work on my own homespun version. I toyed around with several possible titles, including: I Thought That Things Could Only Get Better: Boy, Was I Wrong or Fianna Fáil: the view from the edge. The idea never got beyond a few lines on the PC screen, however. This was partly due to my not seeing anything even vaguely humorous in my situation, but also to me not knowing any publisher sufficiently cracked to commission it. Back in 2011 it was hard to imagine a market for such a work. I also had a slight suspicion that the party was not yet ready for the scrapheap, nor for 18 years in the wilderness. Yes, it was in bad shape – very bad shape. Not just the organisation, but the people too. Friends and colleagues who had worked in politics were shell shocked by the result. Not just elected reps, but people on more modest salaries working behind the scenes. Researchers, press officers, organisers and administrators. Losing 51 seats meant HQ shedding staff over half its staff. But along with this loss, a loss that many hundreds of thousands of other people have had to face, was the realisation that people of my vintage were the ones who had allowed the decline to happen: we could be the generation that not only wrecked Fianna Fáil, but damaged the values on which it was founded. This is not to underestimate or disregard the mistakes we made and the anger we caused to those people whose support we had sought and won over the decades. Nor is it a plea for pity. It is just to acknowledge that the 2011 defeat had real consequences for many of us. While there were reports of some particularly heated and fraught exchanges during the campaign, what I experienced at the doors was a harsh coldness. 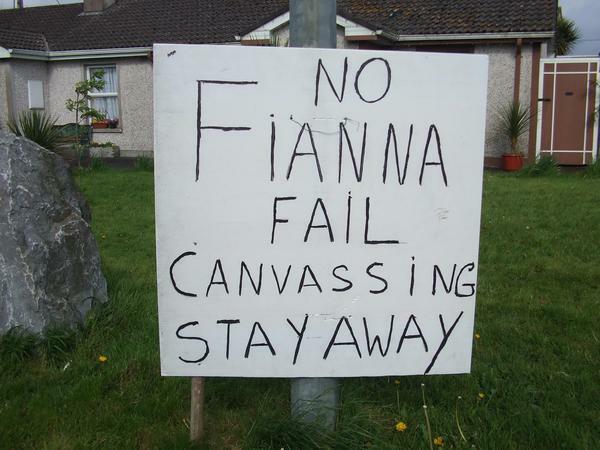 The voters had long since made up their minds on Fianna Fáil – we had let them down badly and we would pay the price. I suspect many voters even surprised themselves with the scale and magnitude of the Tsunami that engulfed Fianna Fáil two years ago. Two years is not a long time in the life of an established political party. While the coldness and mistrust may have thawed somewhat, there is still a lot of real anger out there that will take a long time to address. This should not be confused, however, with the contrived disdain that characterises some people’s attitudes to Fianna Fáil. As Sean Gallagher discovered during his presidential bid, it is now almost McCarthey-esque. You can talk about us in a way that you could not about almost any other group. It ranges from the scorn that perceives FF as unprincipled, gauche, maybe even a bit NOCD (not our class dahling) to the more visceral anti Fianna Fail-ism that sees us all as chancers and strokers. But for as long as I know that I am in a party that works to give people the means and opportunities to succeed, I reckon I can live with that. The attached research paper Report on EU Attendance was conducted by Markus Johansson and Daniel Naurin of the Dept of Political Science at the University of Gothenburg and presented at the SNES spring conference in Uppsala 22-23 March 2011. SNES (Swedish Network for European Studies in political science) is Sweden’s leading research network dealing with questions of European politics and governance. 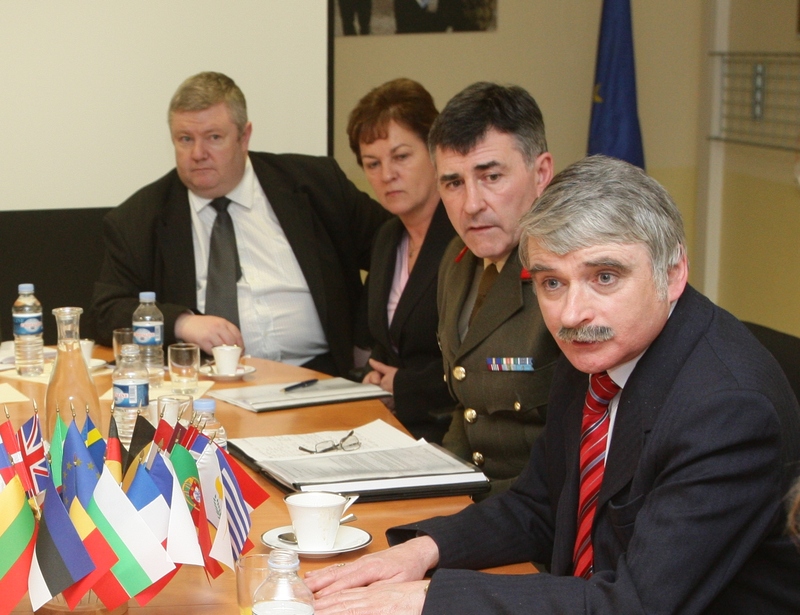 The study examined 808 EU Council meetings between 2000 and 2010 and found that Ireland had one of the highest average Ministerial attendances at Council of Minister’s meetings, 5th out of the 27 member states. This exposes the hollowness of claims repeatedly made by Government Ministers and the Taoiseach that Fianna Fáil failed to attend EU meetings. An Taoiseach’s national address was well intentioned but badly executed. To his credit; from the moment he became Taoiseach, Enda Kenny has shown that he realises the importance of talking to people. He has demonstrated regularly that he knows the job of Taoiseach is not just the traditional one of government Chairman or Chief. He understands that it is also that of the “confidence giver in chief”, particularly at times of crisis like this. The person who tells the rest of us what is happening and how he and his team have a plan to get us through the difficulties. Television has not been his friend. Neither have the formal set pieces: Ard Fheis speeches etc. He has been more comfortable in informal situations, particularly those where his words and message are delivered unmediated: live to a flesh and blood audience. For all these reasons, last night’s TV “Address to the Nation” was going to be a big ask. The fact that it was billed as the most important address he would ever give, the “speech of his life”, did not help. In the event, the speech did not succeed in achieving its desired result. The pity is that while this may have been the aim, the content and delivery failed to convey any sense of strategy or coherent plan. The address should not just have been another element of the package of budget speeches: but an opportunity to set out a vision of where we are going and how we can get there together. It could have been a vision of the kind of Ireland the Taoiseach wants to see in place by 2016, the centenary of the Easter Rising and an exposition of how he sees us achieving that. Instead of the expected “state of the nation” we got a curiously cold and passionless presentation that omitted both vision and purpose. A bland party political broadcast that seemed, in part, to be an attempt to explain both why The government was now implementing policies it had opposed and why it had abandoned promises made only nine months ago. It was less an “address to the nation” and more an apology from the leader of Fine Gael. As the Taoiseach and his advisers are now starting to realise there are some very obvious risks with such addresses. People expect to be better informed and maybe even more confident after the broadcast than they were before. Looking at the online commentary as I write this, I do not see this being the emerging consensus. Most politically unaligned posters appear to be seeing the address as a “wasted opportunity”. But there are other risks too. The leader comes on TV to say that things will get better… but, they don’t. As a consequence we lose faith in them. Though I have no firm evidence for thinking this, I believe that these were the two of the key factors behind Brian Cowen’s reluctance to make a similar address in 2008/2009. The one issue Cowen would not have had to address if he had chosen to make such a speech then is the crisis facing the EU and the Euro. In my view the Taoiseach made a mistake in not devoting more of his script to this crucial issue. Not only did the EU section amount to less than 10% of the total text, the section was bland and failed to seriously address any of the issues facing us. In other EU countries they are talking of having “less than a week” to save the Euro. Within the coming days we will learn more of the Merkel/Sarkozy plan to fundamentally change how the EU and the Euro function, but here our Taoiseach reduces the matter to almost an afterthought in his keynote address to the nation. It kind of sums up the whole exercise, well intentioned, but poorly done.